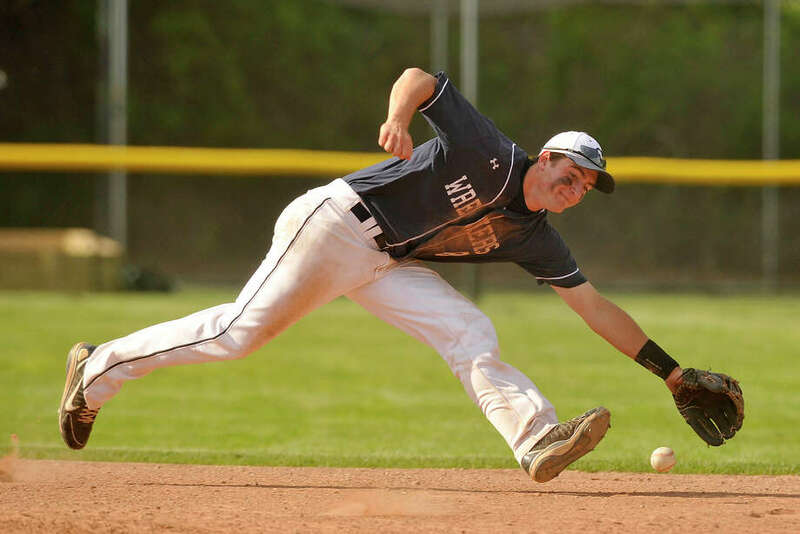 With the rest of the FCIAC baseball contenders fighting for their playoff lives as the season enters the final week, Staples is in the unique position of having already clinched the No. 1 seed in the upcoming playoffs. Watching the Wreckers go to Viking Field and beat a contending Westhill team 9-2 Monday, the rest of the league should be on notice. These Wreckers (16-3, 15-2 FCIAC) are not going on cruise control, instead they have committed to finishing strong, setting themselves up for a high seed in the CIAC Class LL tournament and entering next week's FCIAC playoffs playing their best baseball. The one place Staples now has an advantage over the teams still battling is in its ability to get its pitching in line for the postseason. "We wanted to stretch Robbie (Vallone) out today and get him just over 100 pitches and just set our pitching up for next week," Staples coach Jack McFarland said. "We got some things done today that are going to help us out down the line." Westhill (10-8, 10-6 FCIAC) is in the mix for one of the other seven playoff spots, now sitting tied with three other teams in the 6-8 spots. The Vikings fell behind early, stung by two big innings, a problem which has plagued them all season according to coach DJ Mulvany. "Our Achilles' heel all season long is that we just have bad innings," Mulvany said. "We allow teams to either retake the lead or extend the lead. Staples swung the bats very well today and two bad innings led to nine runs and the way they pitch, it's tough to come back." Onyx Velez worked four shutout innings of relief to help keep the Vikings pitching in line with two games left this week. Westhill is at Darien Wednesday before closing the season at Trinity Friday. Westhill led 1-0 after one but Staples pounded out 12 hits in the game, scoring five in the second inning and four in the third. Adam Dulsky hit a three-run home run in the second and freshman Ben Casparius added a three-run opposite field shot in the third. Dulsky was 4-for-4, Casparius had two hits and scored two runs and Noah Yokoi drove in two runs. Dulsky said the Wreckers offense is relentless and the team is focused on the postseason. "Right out of the gate we had bases loaded in the first three innings but we didn't capitalize early but we just kept pounding them and sticking with it," Dulsky said. "We are still going after Trumbull Friday. We want to win that game because it is so important for the states and FCIACs pretty much started today with Westhill and we just wanted to go out and get them." Westhill scored a run in the first and another in the second, loading the bases in both innings before Vallone settled down. Vallone struck out eight before giving way to Casparius, who struck out three over 1.1 innings to close it out.